There are many ways to volunteer, but Sam Killingworth has found a unique one. 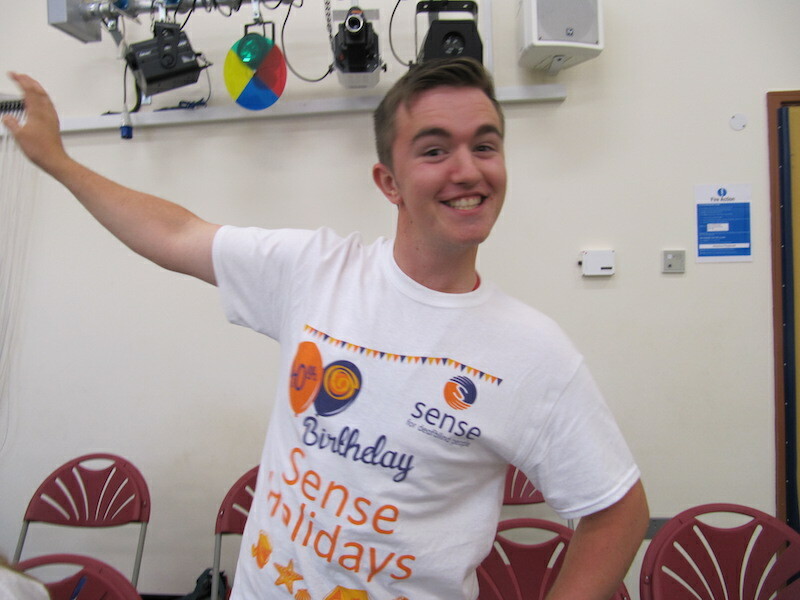 The 20 year-old-student is a volunteer for Sense Holidays, a programme that provides week-long summer breaks to children and adults with sight and hearing impairments. Sam’s work as a volunteer involves supporting the holidaymakers to try something new, make friends and have a lot of fun. The pharmacy student spent his first Sense holiday last year at an accessible farm in Norfolk. He supported young adults to enjoy a range of activities from swimming and bowling to riding on a steam railway and spending sunny afternoons at the beach. Sam was inspired to volunteer by his dad who had Multiple Sclerosis and sadly passed away recently. “I started volunteering after my dad passed away, as I wanted to do something selfless to help others. I know it sounds like a cliché but it’s extremely rewarding seeing the difference you can make to someone’s day-to-day life. In 2015 Sense plans to run 22 week-long summer holidays across England and Wales for over 100 deafblind children and adults. The programme is completely dependent on volunteers who, like Sam, provide one-to-one support to deafblind people while enjoying a free week-long summer holiday and gaining valuable volunteering experience. Be the first to comment on "Volunteer for holidays that make a difference!"